We love a good staple denim. 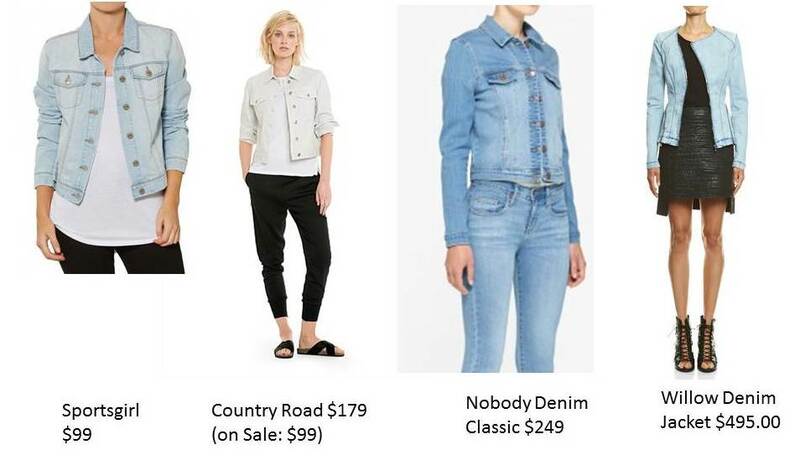 If you read my last post, you will have seen that denim was a strong feature yet again in all International and Australian Spring Summer (SS15) collections. As a stylist I’m always out discovering what’s in the stores, finding where the best buys are, how the looks are interpreted by different designers and made available from our high-street stores to our favourite designers. Here is my round-up of the key denim looks to add to your wardrobe this season. If you don’t own one yet, get yourself a good denim/ chambray shirt. It’s a wardrobe staple as worn by Miranda Kerr, Elle McPherson & Ashley Olsen, paired with jeans below or you can wear it with a skirt. Get the Chambray look below. 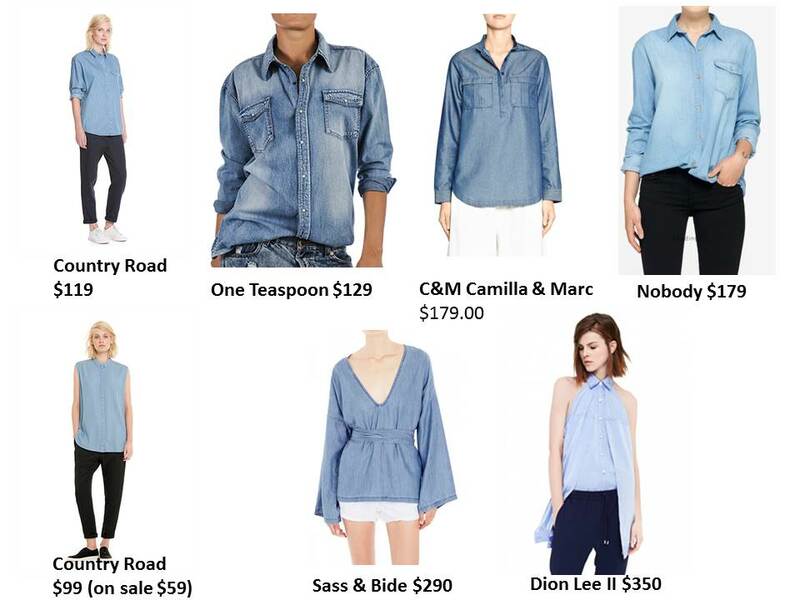 A great selection from Country Road to Dion Lee II, One Teaspoon has a large collection of Chambray shirts, all reasonably priced at around $129. Overalls were another great look on the SS15 catwalk, streetstyle denim overalls worn by fashion bloggers from Pernille Teisbaek (Look de Pernille) to Alexa Ghung. Above: Here I am, dressed in old school style, with Ksubi denim overalls, Run DMC t-shirt and patent brogues from Country Road. 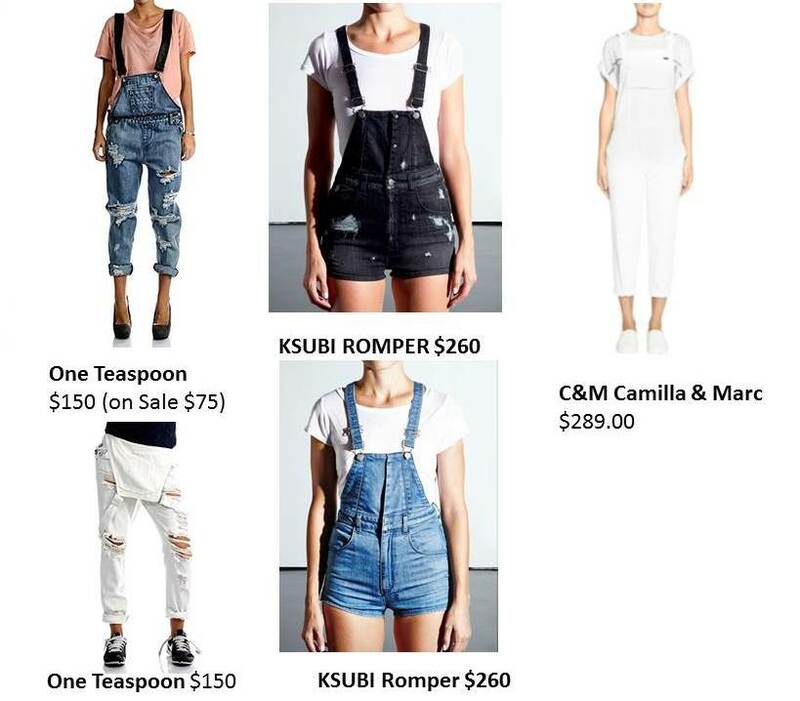 Our favourite picks for denim overalls by Australian designers One Teaspoon, Ksubi & Camilla & Marc. A pair of denim skirt or shorts are another great item to add to the wardrobe – the denim skirt could be worn on casual Fridays, weekends and on a night out. The denim short is also great for those spring summer days and even on a warm night, worn with a pair of great heels. 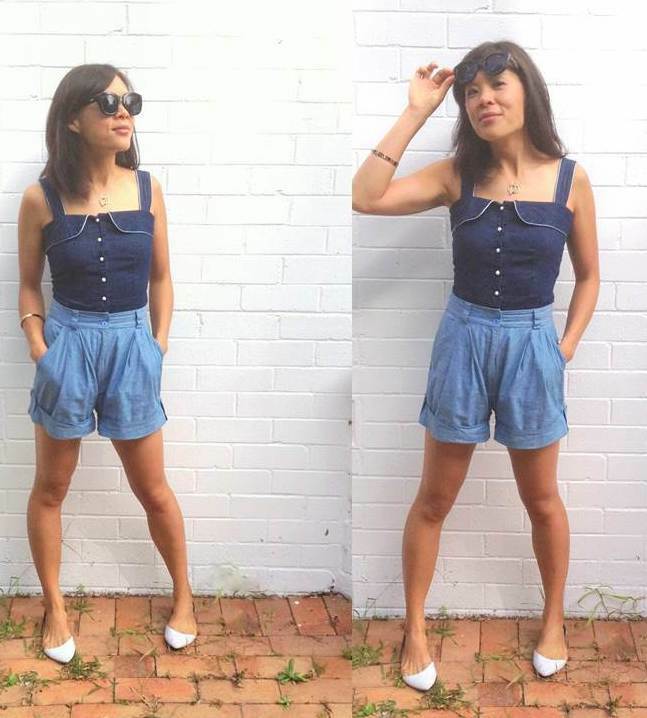 Above: Here I am, doing double denim with a Vallen denim button top, Natasha Ghan chambray short and Witchery pointy-toe flats. 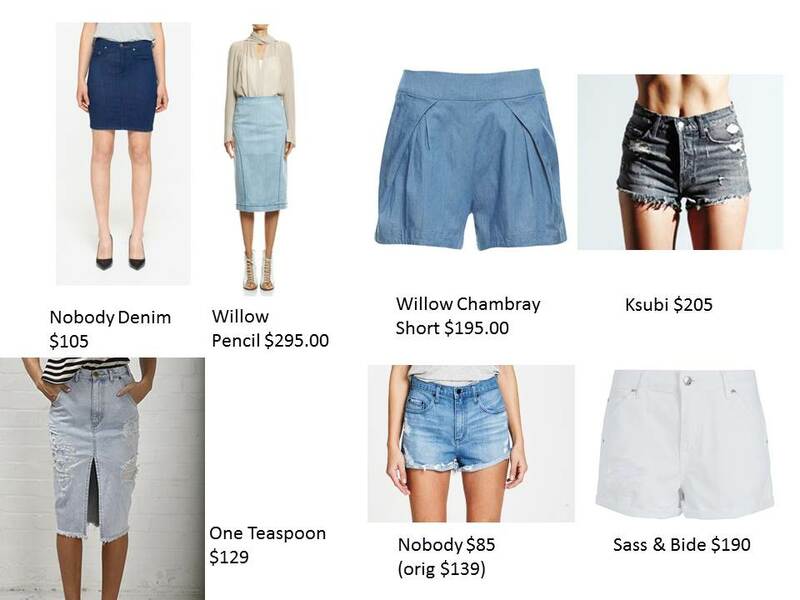 Great selection of denim skirts and shorts from Nobody Denim to Willow. Denim dresses and skirts are a great addition to any wardrobe. They are comfortable and versatile and can be worn on a casual workday, and out at night with a pair of heels. Above left: Alexa Chung in a denim dress, Olivia Palermo doing double denim with chambray shirt and skirt, and fashionistas in the streets of Paris with a double denim skirt and a denim dress/ jacket. 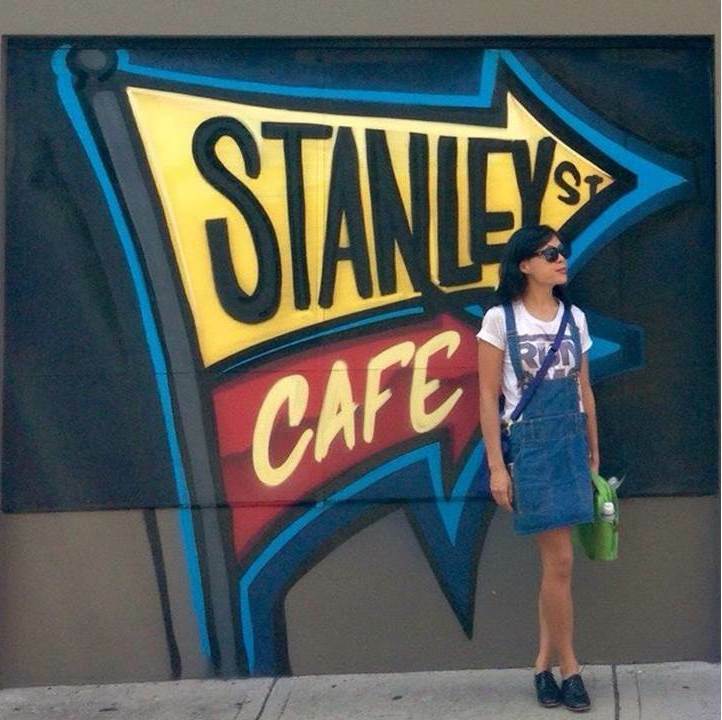 Denim dresses have been a staple item in my wardrobe for years. I love wearing them on my workdays fashion styling and on casual days out on the weekend. Above left: Me on the job styling with the Tea Salon, wearing vintage Calvin Klein denim dress, Gorman brogues & Burberry tote. On the right: wearing a Burberry denim dress. There are some great denim dresses out in the stores this season, this Sass & Bide chambray jumpsuit & Willow chambray dress are gorgeous. Another great item for the cooler Autumn-Winter days is a denim jacket. Worn with jeans, skirt or dress, it’s a great light jacket for those slightly chillier autumn days. 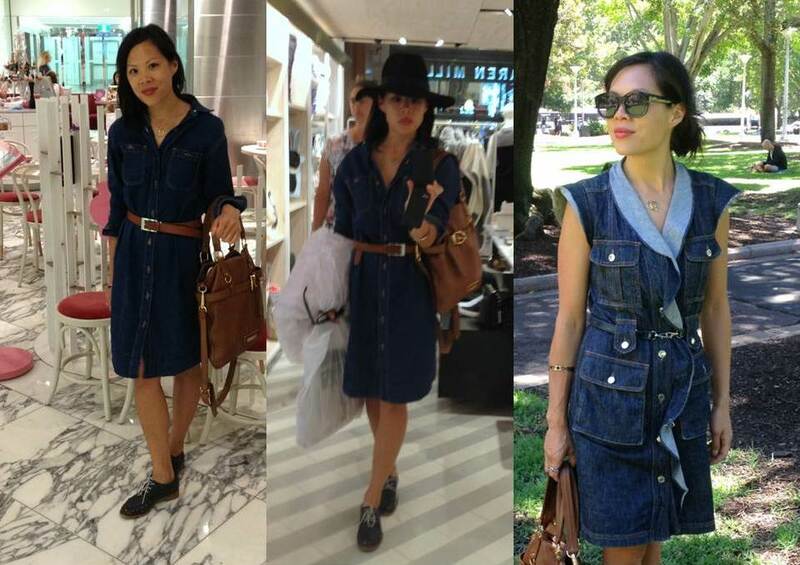 Streetstyle denim jacket looks – worn with jeans & chambray top, white top, over a skirt and with t-shirt & flat boots. Above: the classic denim jackets available from Sportsgirl to a more sophisticated denim look from Willow. Last but not least, everyone has got to own a good pair of denim jeans. They are the go-to item on the wardrobe when you can’t think of what to wear. There’s nothing like a classic skinny jeans, or a good comfy boyfriend jeans, and you will have seen that this season, the flares are also back channelling that 70s look. Above: Left – Here I am, wearing Sass & Bide denim cropped denim jeans with Willow marble print top and brogues, Middle: worn with a vintage trench, Anthropologie Scarfe and brogues on a casual day, wearing distressed Diesel jeans with Louboutin red pumps and Burberry scarfe and Right: daring to flare with Sass & Bide cropped flared jeans, Marcs striped top and Louboutin heels. Below are my favourite picks of great Jeans by our favourite Australian brands. 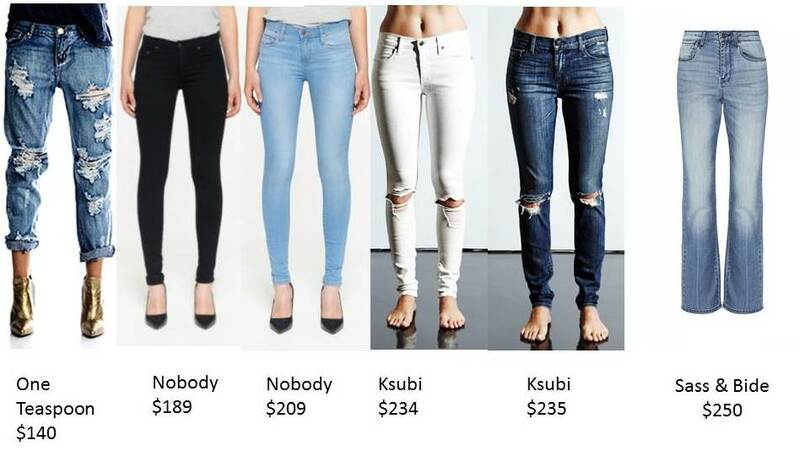 From the boyfriend jeans by One Teaspoon, great skinny jeans by Nobody Denim & Ksubi and the flared jeans by Sass & Bide. 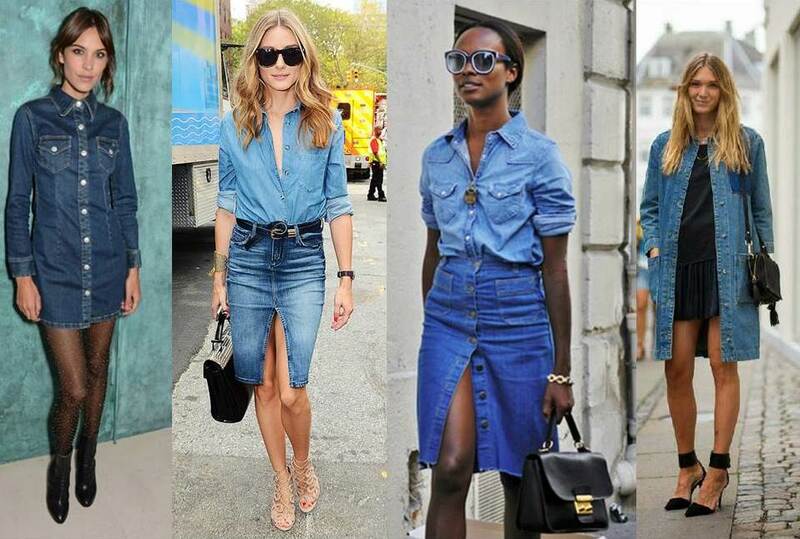 I hope you’re now inspired to give your wardrobe a lift with some of the great denim looks above. What’s your favourite look? Make it denim day today! Follow Jadorais as we interpret more favourite looks & trends this season.